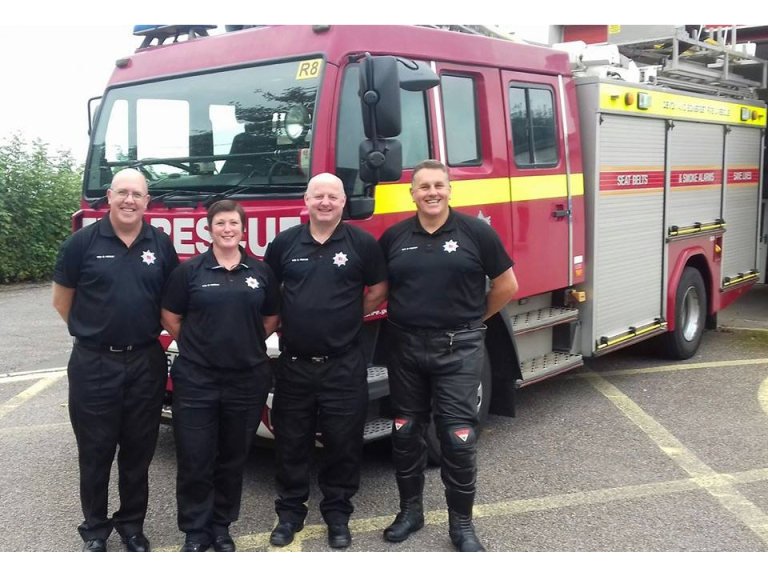 The Road Safety Team at Devon & Somerset Fire & Rescue Service have been successfully delivering free ‘Biker Down’ workshops across Devon and Somerset since 2015. During this time 501 motorcyclists have completed the workshops. Each workshop is split into three sessions comprising of: road traffic collision scene management, first aid and the science of being seen. The sessions are designed with bikers in mind and tailored to deliver vital information, plus lifesaving skills in what to do at the scene of any road traffic collision. The last session also helps to explain how motorcyclists can be more visible on the roads and explains that there is a science behind why people may look but don’t always see a motorcyclist. The team provides some insight into simple skills whilst riding to decrease risk and prevent collisions. The workshops are a national initiative started by Kent Fire & Rescue Service, with the scheme being adopted by many Fire Services across the country including Scotland and Wales. In 2016 there were 54 fatal road traffic collisions in Devon and Somerset with another 654 casualties sustaining serious injuries. 169 of those killed or sustaining life changing injuries from these collisions were motorcyclists (motorcyclists only make up about 1% of road users). The three hour workshops provide vital information to motorcyclists in how to manage a collision scene along with the necessary information the emergency services need to send out resources to any incident. They provide first aid skills in catastrophic bleeding, CPR and helmet removal. Held at local Community Fire Stations across Devon and Somerset with each attendee receiving a free first aid kit, especially designed for motorcyclists (the workshops are co-funded and delivered in Partnership by our partner agencies from Devon County Council and Somerset County Council road safety teams). Laura Pratt, Road Safety Manager for Devon & Somerset Fire & Rescue Service said: “These free workshops are well attended, and the feedback to date has been really positive. It provides practical skills, knowledge, as well as enabling the Fire Service to help reduce collision risk and injury to this high risk group. The workshops are run throughout the year and start again in the Spring of 2018. The dates are all on our Biker Down South WestFacebook page and motorcyclists can applied for a free place via a link on these pages.